This Amiko IR adapter has a 3.5mm jack plug. 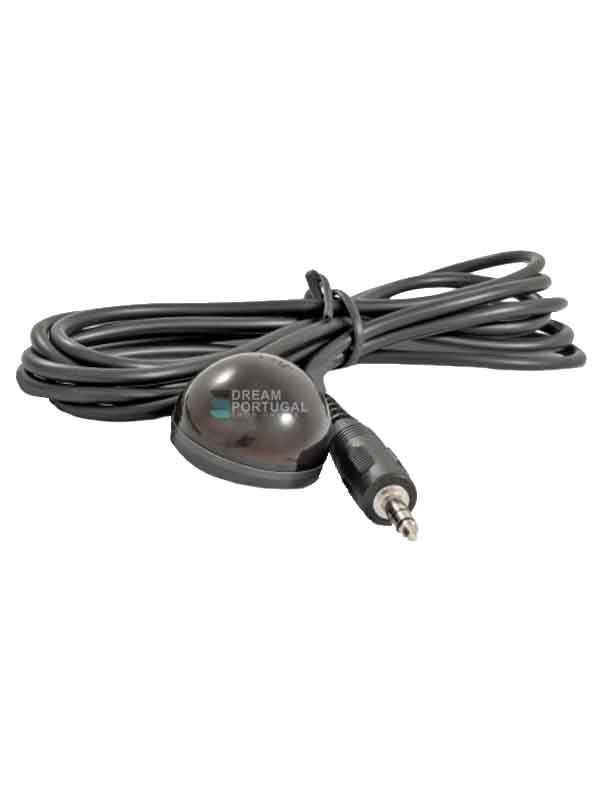 By connecting the IR Adapter to your satellite receiver you can control your device by pointing the RCU to the IR Adapter. The receiver can be placed behind a shelf or in a closet, out of sight. Provided with a 1 meter long connection cable and adhesive pad.